With Valentine's Day right around the corner, engagements are blossoming and weddings are being planned. 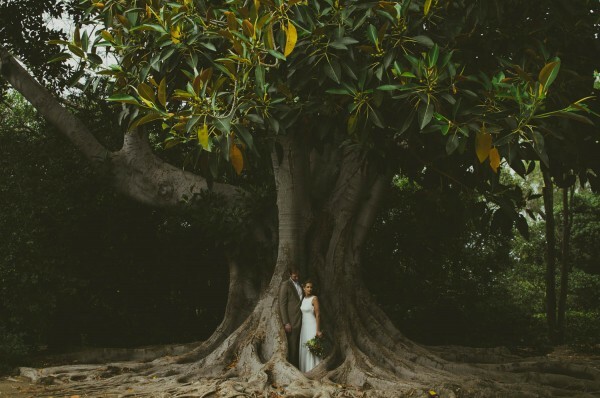 Lauri and Isaac's summer wedding at The Holly Farm in Carmel, California is the perfect inspiration for all of the bright celebrations to come. Wispy air plants hung from glass balls, glittering lights graced the surrounding foliage and the venue's natural beauty formed an event that was both elegant and relaxed. 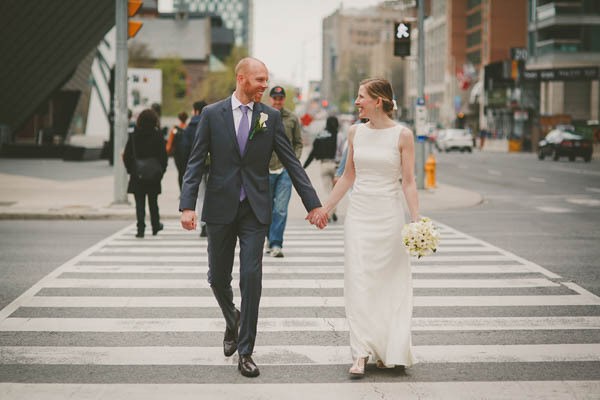 Kate and Matt's simple and chic Toronto wedding certainly made a case for the "less is more" mantra, with beautiful photography by Niv Shimshon. 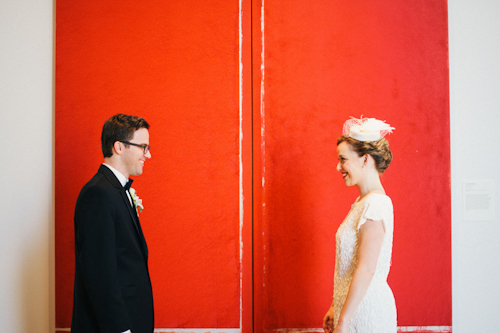 Keeping the wedding small and intimate was a priority for the couple. Their venue, Gardiner Museum, was a beautiful and sentimental choice, near to the University of Toronto where the two studied and worked. The couple ended their sweet and stress-free celebration at a local pub to share the good company of family and friends. 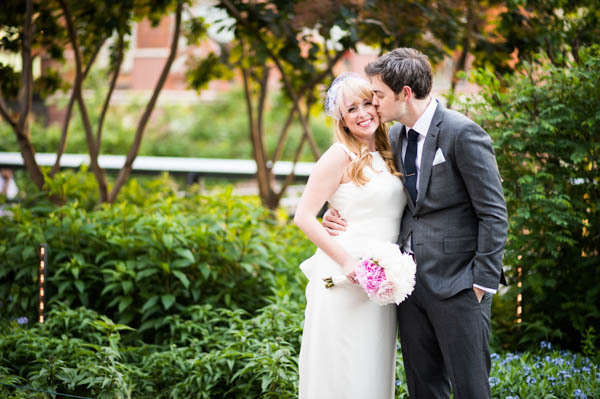 Kasey and Jake's New York elopement was a simply classic and romantic celebration in the city, photographed by Cory Ryan. 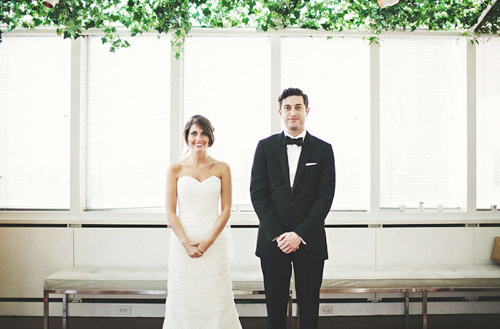 From the bride's adorable Kate Spade accessories to their urban ceremony space, the couple's elopement was as timeless as the Big Apple itself. Exclusively through our Real Weddings Library, these twelve stylish bridesmaids' looks are the perfect wedding party fashion inspiration! 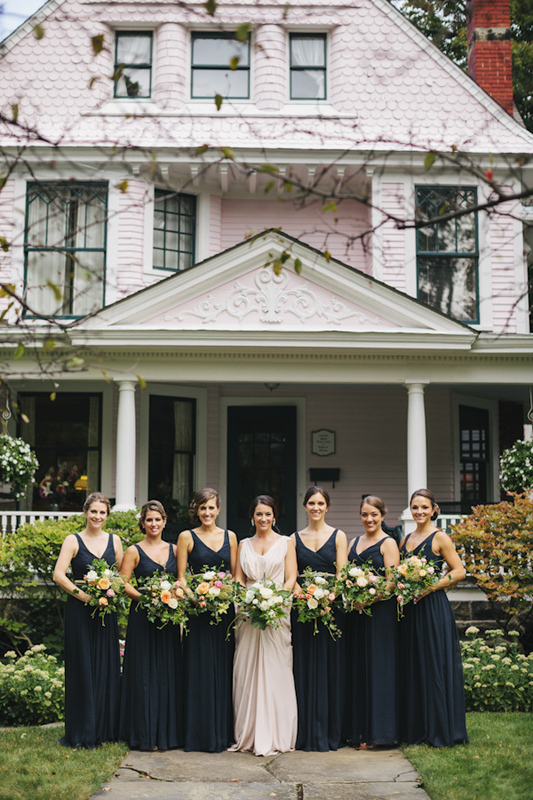 Each with their own unique style, each wedding party compliments the bride's wedding day look and brings out the best in each lovely bridesmaid. While we love the traditional long white dress for the big day, we couldn't help but have a little fun finding a modern look that could be worn for an elopement or courthouse ceremony. We loved the idea of playing with tailored menswear inspired styles and put together two looks that really marry the feminine and the masculine side of us all. What a romantic and incredibly intimate wedding at the Montage Laguna Beach in Southern California! Linghui and Tianhua's pink, white and gold color palette was so soft and inviting, and that splash of sequins on the table tops, and the photography by top photographer Erik Clausen added the perfect touch of edge and sophistication. With unbeatable views and packed with antique treasures, this fashionable chic wedding at the Hudson Hotel in NYC was the perfect combination of rustic charm and modern elegance. 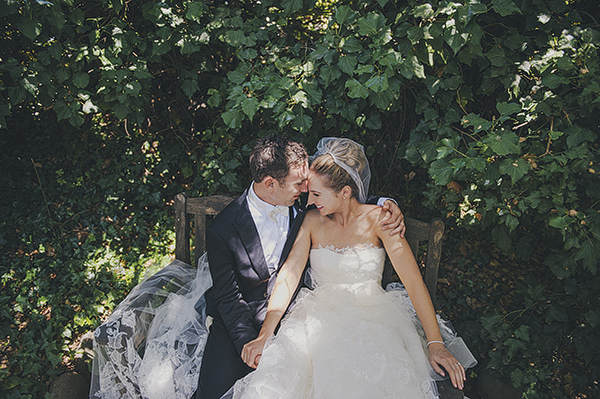 I am loving the romantic, "secret garden" feel with a modern twist, beautifully shot by Stephanie Koo Photography.